Hey everyone! Looking for advice and thoughts about some custom jet bikes. 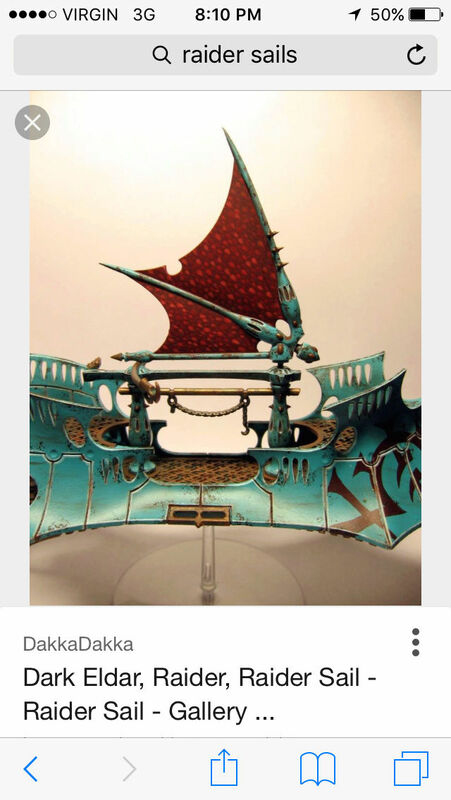 I was thinking about carving up some extra raider sails and attaching them to all the bikes. 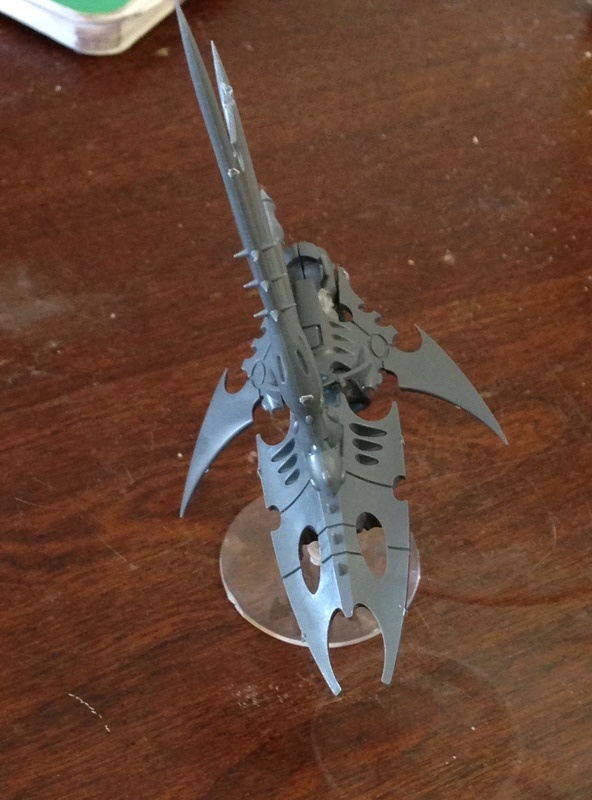 I saw it on a batrep once (eldar equivalent) and thought it would add to my desert feel. Like a Wind surfing board? Were I in need of some vypers I'd probably do this as counts-as for them out of Harlequin bikes, as regular jetbikes my fear is loss of aesthetic with how much you'd need to cut down off the sails. I think it's probably your best bet. Is that that kickass converted Eldar army that's sort of painted in a grubby white colour? If it is then those windsurfing jetbikes are seriously cool! The Raider sail seems to fit quite nicely too. 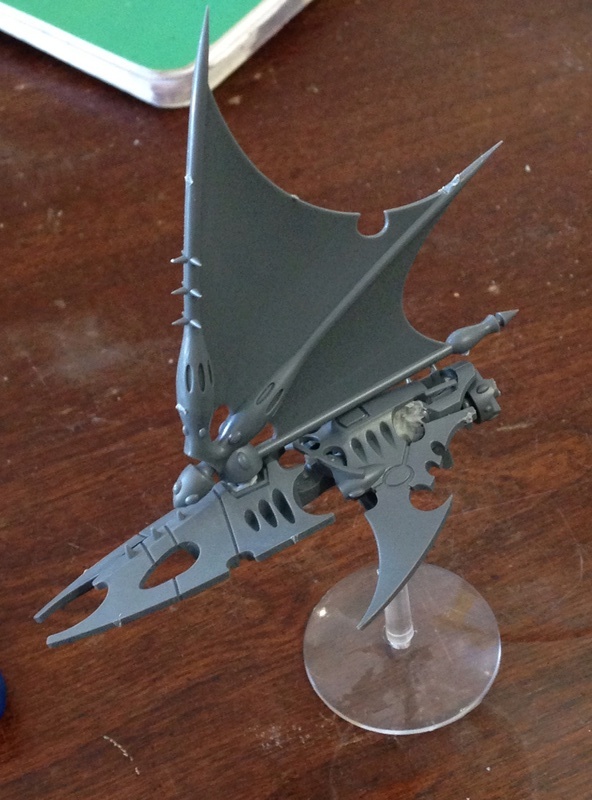 If you can get your hands on the little control pad on a stick from the Raider kit that would work nicely as a handle for the sail as well, and maybe the Kabalite hangers on would have the right pose to fit nicely. Post some pics when you've given it a go! 2 guys, a rider and sailer? 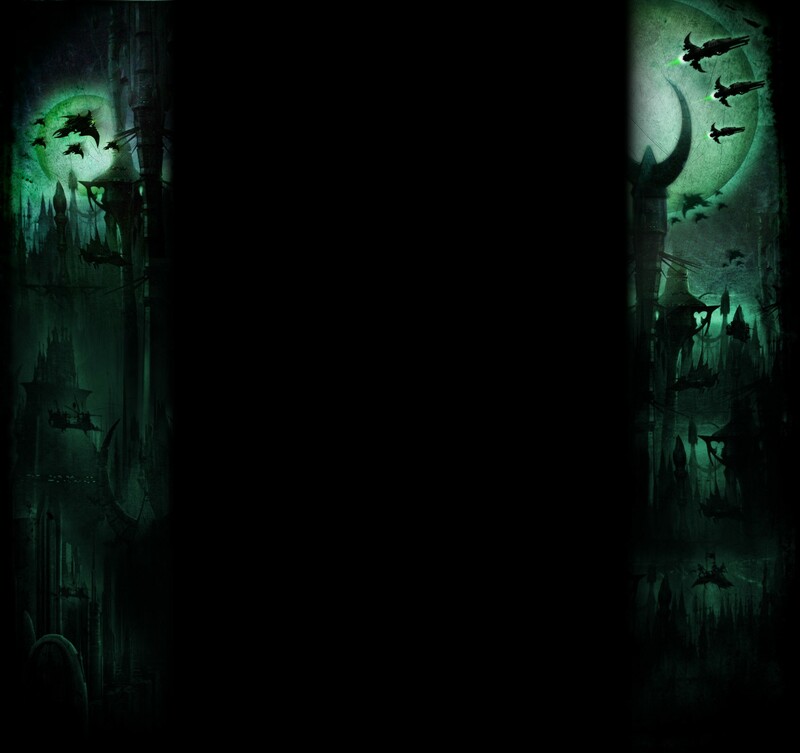 To throw some inspiration your way, the last time someone ran the Haemonculus Challenge (conversion contest, which really needs to happen again....) @koshi482 did something similar. The concept that time was a Lord on a "Ridiculous Ride" with escorts, and his escorts were a set of Reaver/Windsurfers. 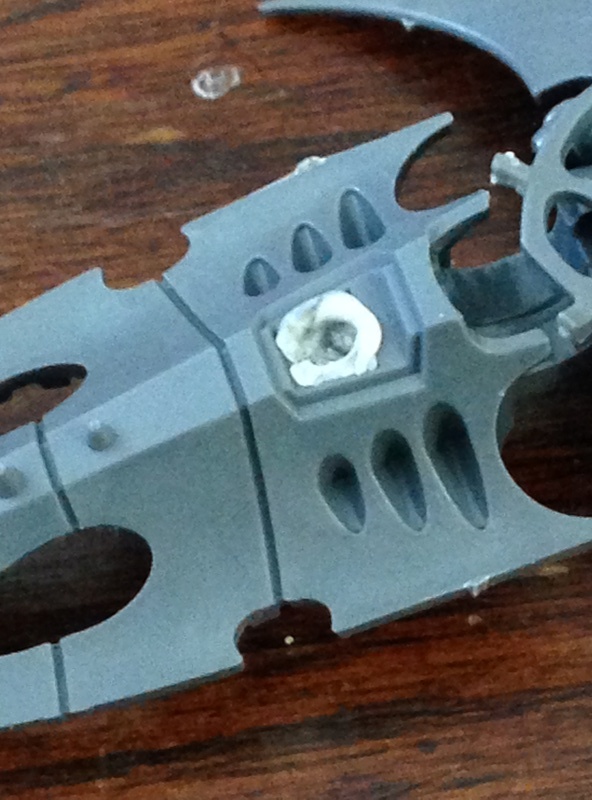 They used the front prow and sail from a Raider and turned out very nicely I thought. 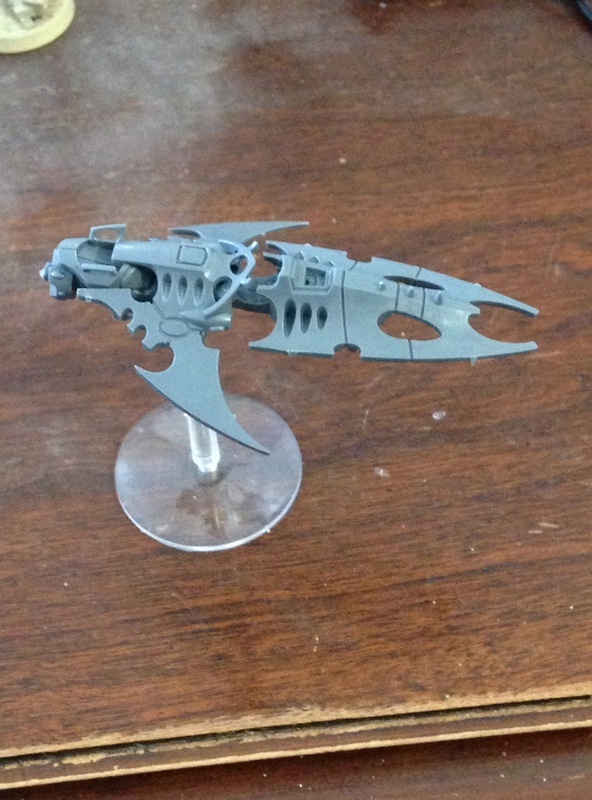 I've been meaning to make up some Eldar/Dark Eldar void ships out of scrap bits and pieces. Those have given me loads of inspiration! that is tabletop tactics' eldar army. After Tuesday I will have a few days to assemble these guys. Man! Thank you for all the optimism guys! I'm so glad I started this project! 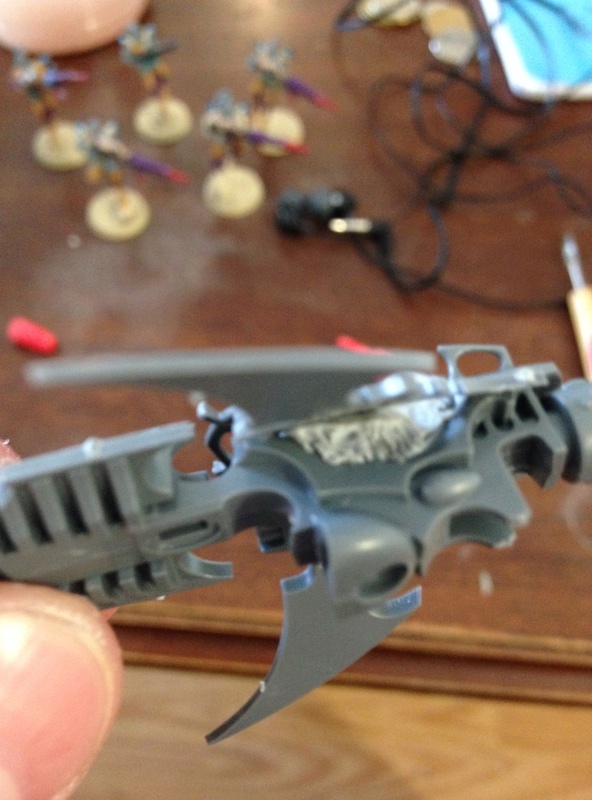 The parts fit together with minimum green stuff, and they skeleton of the parasail looks really good so far!